ST. GEORGE — A motorist’s failure to yield on a left turn resulted in a crash that disabled two cars on River Road Thursday afternoon, police said. 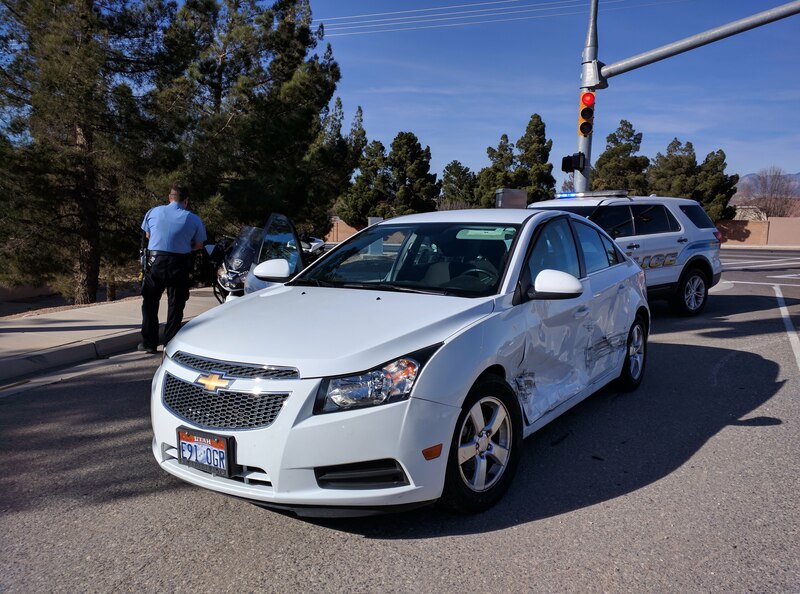 St. George Police responded to the T-bone collision involving a gold Pontiac G6 and a white Chevrolet Cruze at the intersection of Brigham Road and River Road at approximately 2:45 p.m. The driver of the Pontiac was in the left turn lane on Brigham Road preparing to turn onto River Road as the driver of the Chevrolet was southbound in the outside lane on River Road, St. George Police officer David McDaniel said. Beyond some bruising resulting from seat belts, no injuries were reported. “The driver of the Pontiac received a citation for failure to yield on a left turn,” McDaniel said. 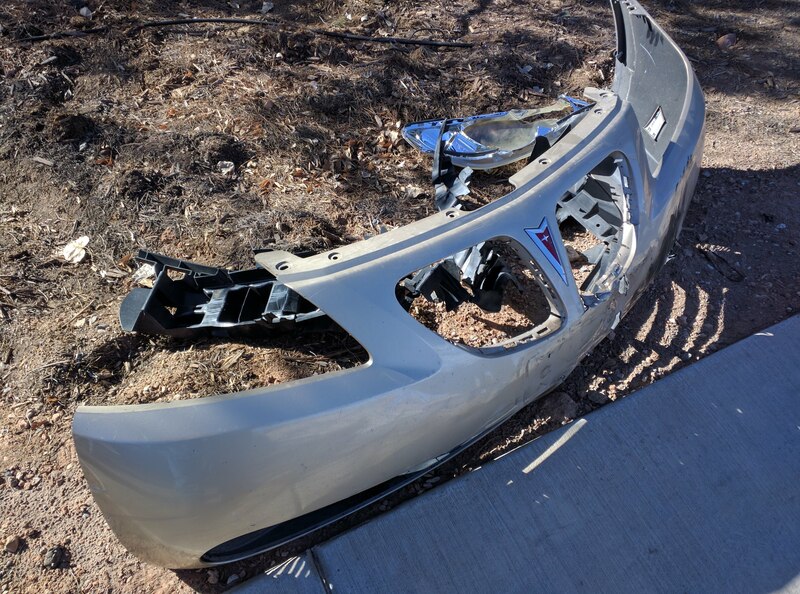 The Chevrolet’s driver’s side was bashed in, and the front end of the Pontiac sustained heavy damage, including a detached bumper cover. Both cars had to be towed away. Emergency personnel from St. George Fire Department also responded to help clear the wreckage from the street. Both cars were moved to the side of the road, allowing traffic to move past the scene of the crash unimpeded. This report is based on preliminary information provided by law enforcement and may contain the full scope of findings. Auto body repair is GOLD in southern Utah!